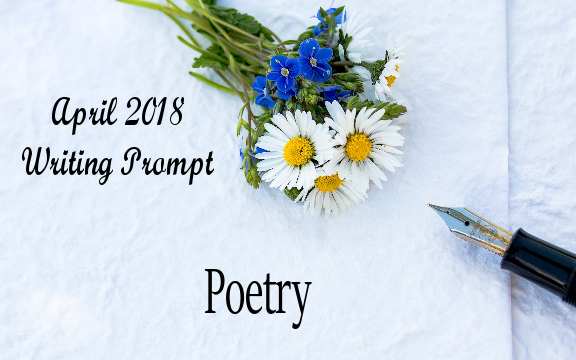 April’s writing prompt is Poetry. April is National Poetry Month in the US. What a fitting prompt for the month. Poetry is movement, fluidity, sound and being present in the moment. Poetry is mindfulness. Read a poem or go to a poetry reading and write about your experience. Write a story based off a line from your favorite poem or featuring a poet. The comment section is open for you to share what you’ve written or created. I’ll post what I’ve written on Wednesday.